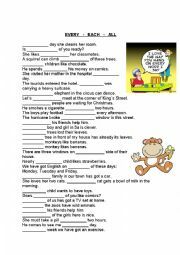 You can practise the use of ADJECTIVE and ADVERB -ly or not ? 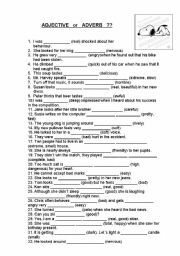 SOME OR ANY A worksheet to practise the use of some and any. 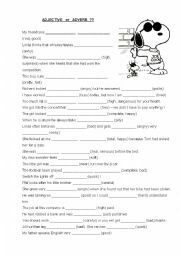 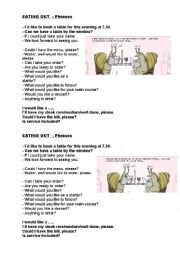 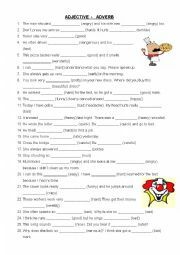 Worksheet to practise the use of could, couldn�t, should, shouldn�t, was/were able to,.. 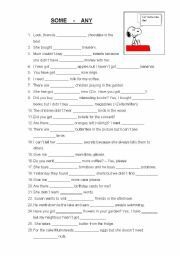 This PPT gives information about the work of the charity group BAND AID which released the Christmas song "Do they know it�s Christmas". 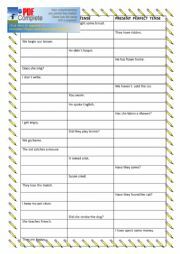 You find the text for the song in an extra worksheet. 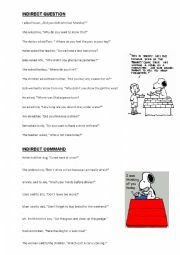 California - you are the tourist guide!